We will conduct a FREE no obligation survey with Simon Munro, so you can talk through your requirements. This will help decide what services and vehicle size you'll need, and how many of our dedicated team to send. From here you will receive a written quotation, giving you a detailed description of services required with a total cost of your move, including insurance and our terms and conditions with no hidden extra costs! If you want to pack all your own stuff, we will provide all the materials and boxes (we'll decide how many boxes you need during your free survey). If you prefer help with packing for your removal in, we offer either a full or breakable packing service. This is normally completed the day prior. It's a great way of taking the headache and stress out of packing, and we'll bring all the boxes and materials required with us. All packing (full or breakable) is commenced by our highly experienced, fully trained dedicated staff. If you need some help dismantling wardrobes, sheds, beds etc - and reassembling them at your new property - our handyman service is ideal. Talk to us about it at your free survey. 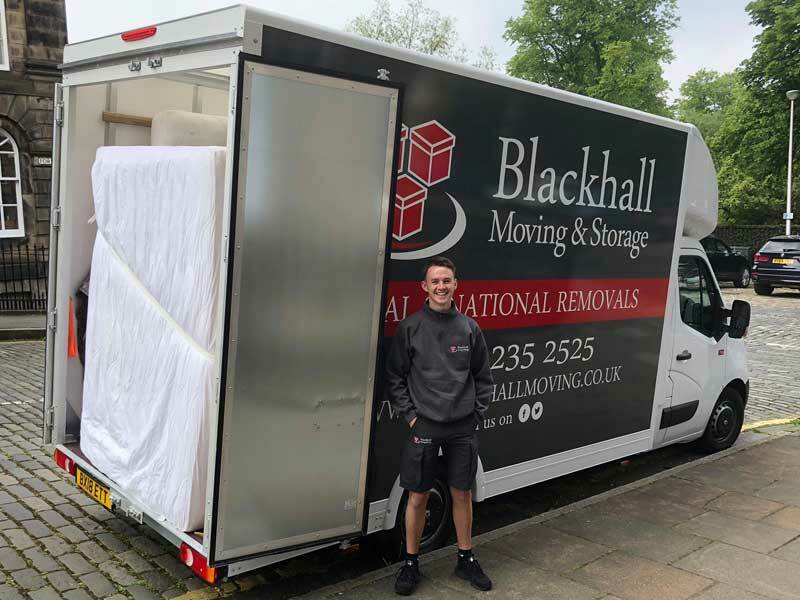 If you would like to get in touch with Blackhall Moving & Storage we would be delighted to arrange a FREE no obligation survey arranging a visit at a convenient date and time to discuss your removal in Edinburgh, please call us on 0131 235 2525 or complete our enquiry form and we will get back to you as soon as possible or just simply call to discuss your forthcoming Edinburgh removal and see how we can help.